From our lips to their ears! 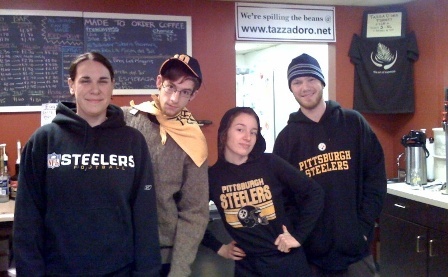 Four rad and appropriately dressed Tazza D’Oro Baristas say – GO STILLERS!!! I hope wearing the Terrible Towel as a cape isn't blasphemy.